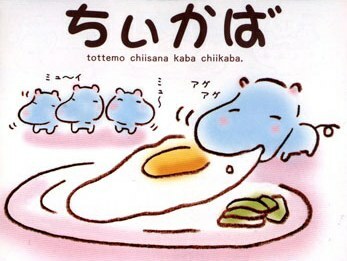 A reeeally little hippopotamus, Chiikaba. His head is heavy. His mouth is big. There are many of them. He can't wake up. Here we have a super cute little hippo! He seems to like fried eggs. Japanese people love all that is cute and small, possibly as a result of the small amount of space available for each person in the small apartments. 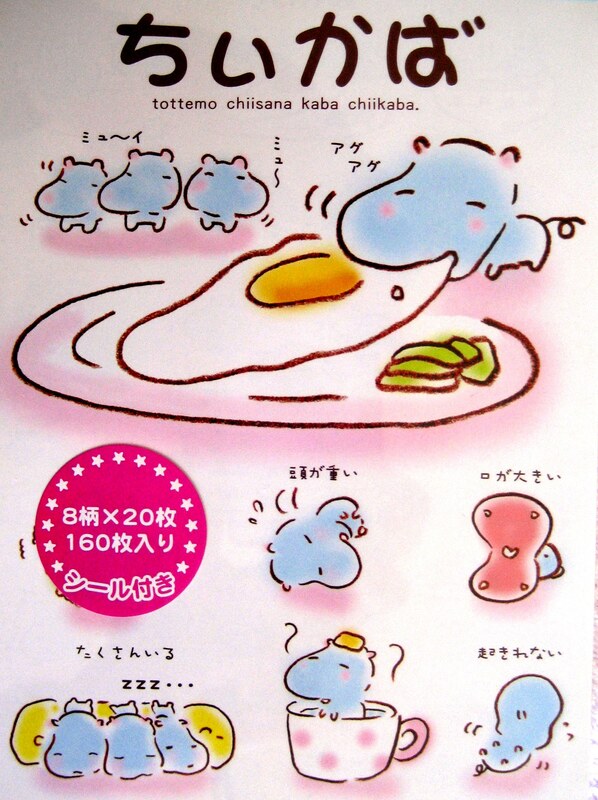 "Chiisana" is small in Japanese and "kaba" is hippopotamus, so the name Chiikaba is a combination of those two words.